Today was a glorious day. The weather was particularly beautiful and the grounds of the Abbey and College were manicured on Friday plus the flowering trees are bursting forth with color. Our many guests attested to value of the charism of Saint Benedict and the witness of the monastic community here in the Charlotte metro area. We can say that the monks and friends are intertwined in a very real way. The 4th bishop of the Diocese of Charlotte, the Most Reverend Peter J. Jugis, JCD, presided his choir robes and many priests of the diocese concelebrated the Mass with Father Abbot Placid Solari, celebrating. All of the monks and guests staying at the abbey were present. It was particularly fitting to have some of the priests of the diocese who in some way collaborate with the abbey here because of the strong connection that exists between the abbey and the diocese: the abbey was the seat of the diocese and the monks either founded and staffed some of the parishes or provided weekend assistance. Heartwarming for me was the clear sense of fraternal love and unity with Saint Peter in the Episcopal office with the presence of Bishop Jugis because there are monasteries live in friction with the local bishop and by extension the Holy Father. Hence it was evident to me that there’s been a genuine affection between the bishop and the monks. I’d be remiss if I didn’t mention the presence of the Religious Sisters of Mercy. They’ve held a close relationship with the monks of this abbey since the 19th century and the monks continue to be their chaplains down to today. As an historical note, the Holy See erected the Diocese of Charlotte on January 12, 1972. But beginning in 1944 and then again in 1960 the territory of the abbey nullius was gradually restricted before being suppressed on January 1, 1977, at the request of the US bishops. 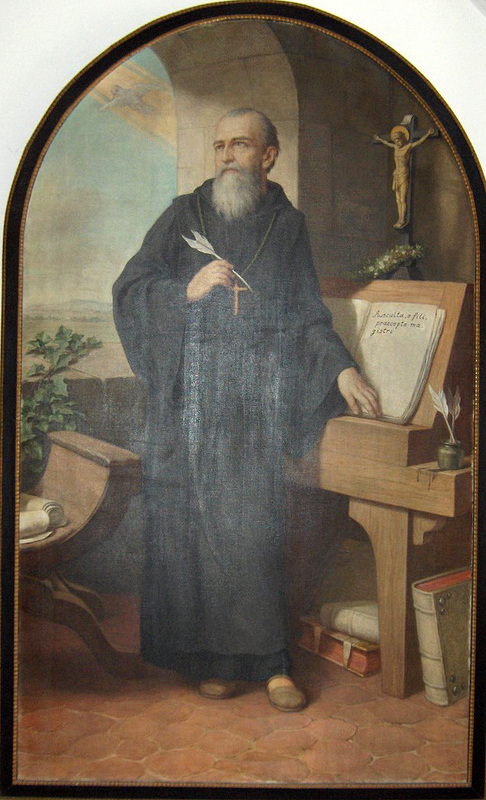 In the homily Father Abbot spoke of Saint Benedict personally hearing the voice of Christ calling him to follow. As Benedict listened with the ear of his heart, so we should listen to the call of the Master (Christ). We know that through baptism we are reborn as adopted children of God and our lived experience tells us that we are being formed into saints, or at least the hope is that we’d become saints. Being a saint, however, is not being a plastic sort of character but a person who really lives what his conviction in Christ is. It’s the saint that lets know that God is real and that His love and creative power endures; it’s the saint that knows and shows us that the divine promise is a fact. Two aspects of this the divine promise bear mentioning because they are constituent parts of Benedict’s life: forgiveness (mercy) and providence (life will be set right). In forgiveness our sins are forgiven and we are given the grace to transform our lives from ugliness to beauty. 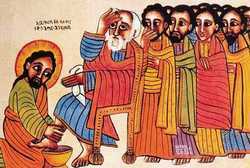 Providence tells us that we don’t hold others hostage for their sinfulness toward us; just as the Lord forgives, so ought we to forgive. Providence is the revelation of hope, that there all of us have a destiny based on faith in Christ. 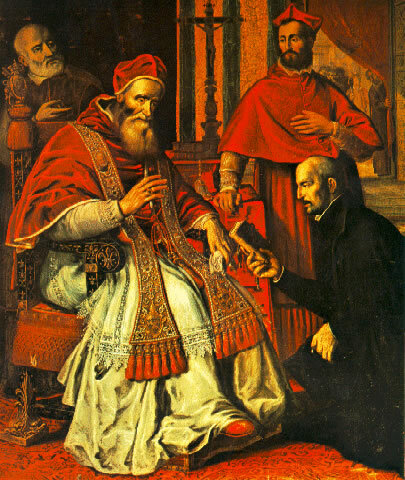 The abbot also noted for us that Benedict is an example of being “watchful” in the face of grace and sin; he was attentive to sustaining others in the struggle against Satan. One can say, therefore, that Benedict is a living Gospel: he lived the Gospel faithfully and his witness to Christ was substantial. While it seems odd that on a joyous occasion such as this feast to tell people to keep death before our eyes as Benedict admonished his monks, it is nevertheless true that we ought to do so because it is an expression of Christian hope: we desire our destiny, we desire the infinite. As Pope Benedict reminded us in last encyclical, the distinguishing mark of the Christian is that we know we have a future. 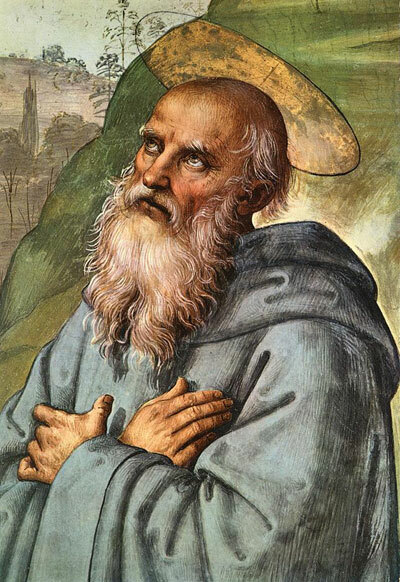 Just as Saint Benedict was converted, the abbot said, by the Paschal Mystery of the Lord, so by that same Mystery shall we be transformed if we give ourselves over the Lord without reserve. One may note in the Ordo for liturgical services that March 21 is a liturgical memorial of Saint Benedict, co-patron of Europe and Father of Western monasticism. The ritual form of today’s sacred Liturgy takes on different observances in the various worldwide congregations of Benedictine monasteries. That is to say, some monasteries observe today as a solemnity even though it is Lent; let us not forget that March 21st comes between two other solemnities, Saint Joseph (March 19) and the Annunciation of the Lord (March 25). Monasteries who don’t keep today as a solemnity will keep liturgical memorial as a simple feast and celebrate July 11 as a solemn day. By the use of the word “solemnity” I mean the use of festive hymns and antiphons for the saint or the Lord are sung, incense and white vestments are used, and the Gloria is sung and the Creed recited at Mass. The above Magnificat antiphon is a good example. Therefore, the special Mass texts written and approved for the liturgical memorial are used in conjunction with the sung Ordinary of the Mass. On days of solemnity the community will have a festive meal with special foods and prepared and often wine is served. The opposite would be true for a day in Lent or an average in Ordinary Time where things are much more sober. I savor today as a solemn break from the joy of Lent! For the monks of Belmont solemnities never end: the anniversary of the Dedication of the Abbey Church falls on March 28 but that day, even though it is a solemn occasion, will be simplified I can assure you. All these special celebrations can obscure the sober liturgical sense that’s supposed to be followed for Lent and yet there is a particular Catholic sense of the Incarnation that’s manifested when we properly observe feasts on their proper days. Given that Mary, Help of Christians – Belmont Abbey is a monastery of the American-Cassinese Congregation of Benedictine monks it’s keeping to a privilege granted in 1972 by the Sacred Congregation for Divine Worship. At the solemn Vespers last eve, the Father Abbot was suitably decorated in mitre with crosier, symbols of his office as a head of the abbey. 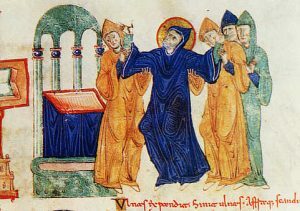 A special vesperal hymn for the Transitus of Benedict, “Whate’er of Yore,” was sung. According to Father Prior this hymn is of unknown provenance and yet highly revered. It speaks of the prophets and the Law, Abraham and Moses, perfect virtue, especially asceticism, obedience and peace viz. 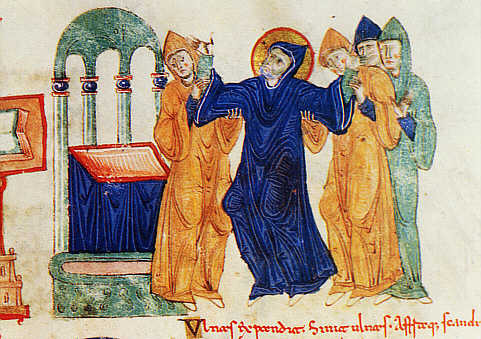 the witness of blessed Benedict amidst the storms of era. My son, if you come forward to serve the Lord, prepare yourself for temptation. Set your heart right and be steadfast, and do not be hasty in time of calamity. Cleave to him and do not depart, that you may be honored at the end of your life. Accept whatever is brought upon you, and in changes that humble you be patient. For gold is tested in the fire, and acceptable men in the furnace of humiliation. Trust in him, and he will help you; make your ways straight, and hope in him. You who fear the Lord, wait for his mercy; and turn not aside, lest you fall. You who fear the Lord, trust in him, and your reward will not fail; you who fear the Lord, hope for good things, for everlasting joy and mercy. Consider the ancient generations and see: who ever trusted in the Lord and was put to shame? Or who ever persevered in the fear of the Lord and was forsaken? Or who ever called upon him and was overlooked? For the Lord is compassionate and merciful; he forgives sins and saves in time of affliction. Woe to timid hearts and to slack hands, and to the sinner who walks along two ways! Woe to the faint heart, for it has no trust! Therefore it will not be sheltered. Woe to you who have lost your endurance! What will you do when the Lord punishes you? Those who fear the Lord will not disobey his words, and those who love him will keep his ways. Those who fear the Lord will seek his approval, and those who love him will be filled with the law. Those who fear the Lord will prepare their hearts, and will humble themselves before him. Let us fall into the hands of the Lord, but not into the hands of men; for as his majesty is, so also is his mercy. 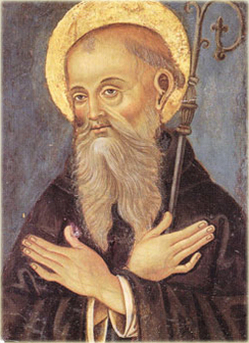 O Glorious St. Benedict, sublime model of all virtues, pure vessel of God’s grace! Behold me, humbly kneeling at thy feet. I implore thy loving heart to pray for me before the throne of God. To thee I have recourse in all the dangers which daily surround me. Shield me against my enemies, inspire me to imitate thee in all things. May thy blessings be with me always, so that I may shun whatever God forbids and avoid the occasions of sin. 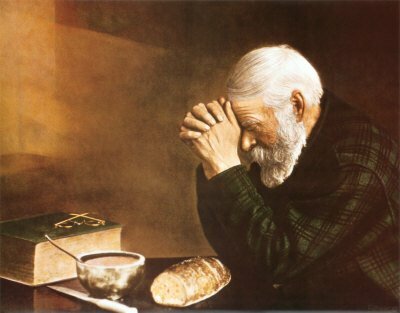 Graciously obtain for me from God those favors and graces of which I stand so much in need, in the trials, miseries and afflictions of life. Thy heart was always so full of love, compassion, and mercy towards those who were afflicted or troubled in any way. Thou didst never dismiss without consolation and assistance anyone who had recourse to thee. I therefore invoke thy powerful intercession in the confident hope that thou will hear my prayers and obtain for me the special grace and favor I so earnestly implore (mention it), if it be for the greater glory of God and the welfare of my soul. This article by Jesuit Father John Belmonte on lectio divina is helpful for coming to know the Lord. Lectio is a place of encounter with the Lord and it is in lectio we come to know and love Him in whom and by whom we are saved. As someone who has taught Scripture to high school students, these answers did not surprise me. Religious educators and biblical scholars regularly decry a growing lack of familiarity with Scripture. Catholic ignorance of the Bible is proverbial. A study of 508 teenagers by the Princeton Religion Research Center confirmed that Catholic young people are much less familiar with Scripture than their Protestant counterparts. Even more distressing is the finding that thirty percent said that they never even opened the Bible. If Saint Jerome’s axiom, “Ignorance of the Scriptures is ignorance of Christ,” is true, then those of us who are full members of the Catholic Christian community have a serious situation on our hands. Isn’t it incumbent upon us to pass on the tradition, to introduce others to the living God, to dispel ignorance of the Word of God? If not us, then who? Even amid the decline in elementary biblical knowledge, help is on the way. 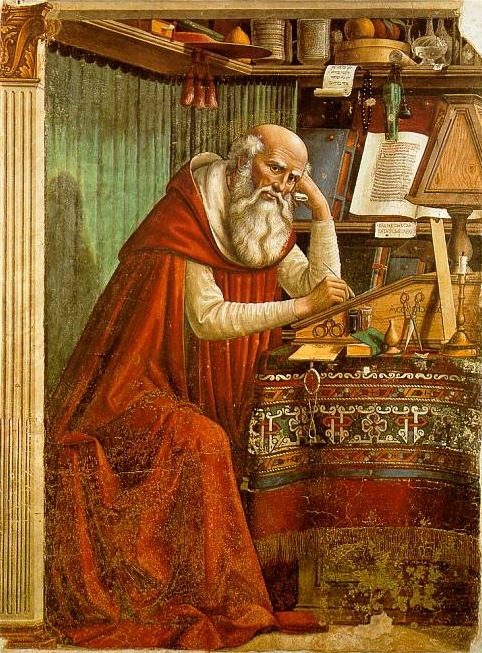 Vatican II did much to help revive interest in Scripture, and one method that may help bridge the gap Mr. Leno so cleverly pointed out is the ancient monastic method of reading the Bible called lectio divina. The Latin expression lectio divina does not translate into English with great accuracy. Literally, it means “holy reading within the monastic tradition, and in Saint Benedict’s rule in particular, its meaning is obvious. 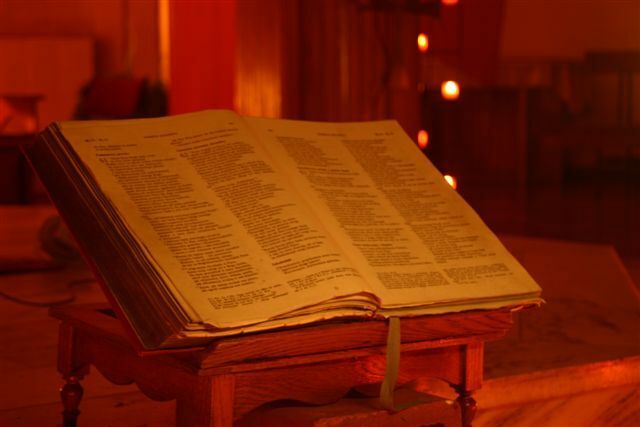 Lectio divina is an attentive and in-depth reading of the sacred Scriptures intended not simply to satisfy one’s curiosity but to nourish one’s faith. 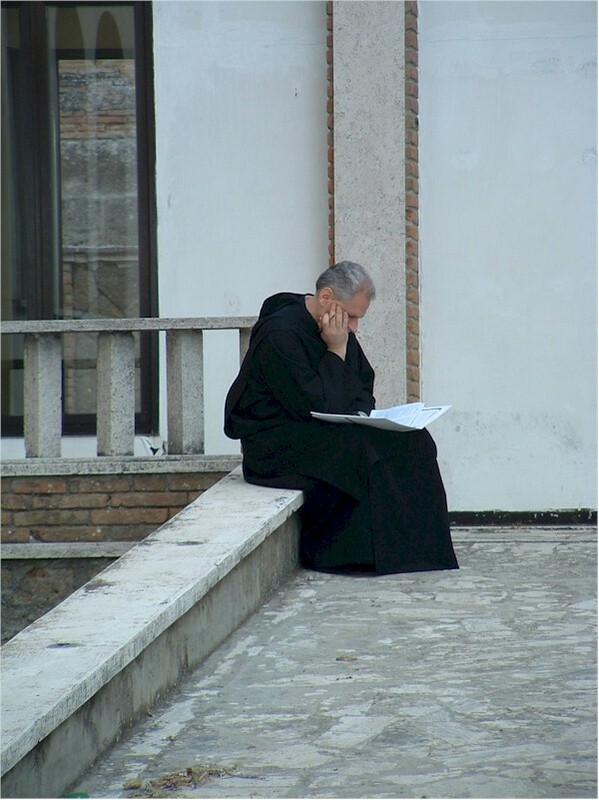 Benedict’s monks were to nourish themselves with the divine food of Scripture in order to have sufficient resources for the journey of faith. In the Rule of Saint Benedict, the monk is exhorted to listen carefully and willingly to holy readings, the lectiones sanctae. The reading is holy because its object is the word of God. Scripture is approached not for scientific or technical reasons but in order to deepen one’s personal commitment to God and God’s Son. All quarters of the church, from official pronouncements to informal movements, have in recent times repeatedly affirmed the need for and effectiveness of lectio divina. There are many ways in which one can encounter God through the biblical word. Yet, the rich history, significant connection to tradition, genuine spirituality, and pastoral applicability of lectio divina make it a particularly attractive method. Lectio divina is one instrument of grace by which we encounter Christ in the Scriptures. When practiced every day, lectio divina fosters the kind of contact with God’s word that, over the course of a lifetime, promises a life of prayer lived out in faithful love. To suggest that a specific method for lectio divina might be necessary carries with it a risk. In our practice of this method, we might be tempted to follow rigidly the proposals offered as rules and not as suggestions. To do so would be a mistake. 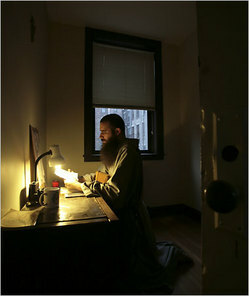 What lectio divina demands in the first place is an openness to the Spirit, which any master of the spiritual life would see as a prerequisite to prayer. Ignatius of Loyola’s instruction in his Spiritual Exercises to those who intend to pray is a good example. He suggests that believers must always pray “with great spirit and generosity toward their Creator and Lord.” Balance and flexibility are very important as one begins to practice lectio divina. We should always avoid rigidity, excessive formalism, or forcing things. My intention is not that the suggested schema that follows be realized as a fixed program; lectio divina is a way to encounter God, and we should always feel free to utilize it according to our own rhythms, gifts, and desires. One day during manual labor, as I was beginning to reflect on the spiritual exercise of man, suddenly four spiritual steps appeared to my mind: reading, meditation, prayer, and contemplation. This is the ladder of the monks by which they are elevated from the earth to heaven and even though it may be formed by only a few steps, nevertheless it appears in immense and incredible greatness. The lower part rests on the earth; however, the higher part penetrates the clouds and scrutinizes the secrets of the heavens. Now the reading consists in the attentive observation of the Scriptures with one’s spirit applied. The meditation is the studious action of the mind, which seeks the discovery of hidden truth by means of one’s own intelligence. The prayer consists in a religious application of the heart of God in order to dispel evil and obtain favors. The contemplation is an elevation into God, from the mind attracted beyond itself, savoring the joys of eternal sweetness…. Reading seeks the sweetness of the blessed life, while meditation finds it. Prayer asks for it and contemplation tastes it. Reading, in a certain way, brings solid food to the mouth, meditation chews and breaks it up, prayer obtains its seasoning, contemplation is the same sweetness which refreshes and brings joy. Guigo sets down a four-part method, but for our purposes we will reduce that structure to three: lectio, meditatio, and oratio. The reason for collapsing the final two steps into one is simple. Prayer is at the core of the way the two final steps are conceived. By collapsing them into a third phase, we respect the progression that naturally develops from the first two steps. However, we leave open the possibility of expanding on the process of prayer by adding three more steps: discretio, deliberatio, and actio. Some critics object to any tinkering with the traditional structure of lectio divina. Even so, a brief look at the historical development of the method over the centuries shows that one can understand Guigo’s four steps as an expression of the monastic world of his time. Our minor change should be viewed in the same light. The first thing necessary to practice lectio divina should be obvious: time. As with anything worth doing or any relationship worth maintaining, the practice of lectio divina must be worth spending time doing. While we should avoid the kind of rigidity described above, the spiritual life does demand a certain amount of healthy discipline. Whether we want to fix a regular time, a certain period, or the most effective time, regularity is important. Our time is a precious thing, and offering it to God is a very simple and concrete first step toward our meeting God in prayer. Related to our emphasis on the biblical text itself is the presupposition that lectio divina is a continuous reading of the whole Bible. In our practice of lectio divina, we should avoid the temptation to select texts well suited to topics chosen in advance. By attending to the whole of Scripture, as the liturgy does in the lectionary, we preserve the context of biblical revelation, both the Old and New Testament. We must avoid the risk of allowing the lectio to “overflow the riverbanks of the tradition and the church,” as Cardinal Martini has written. Practicing lectio divina within the context of the whole of biblical revelation emphasizes the unity of Scripture and our belief in the Bible’s inspiration by God. Moreover, emphasis on the unity of Scripture allows us to avoid the temptation of placing Scripture at the service of ideology or subjectivism. Time set aside for God should take on a dimension different from the rest of one’s day. To help mark that moment, most spiritual masters suggest that the person who sets out to pray begin by making some kind of epiclesis, which is an invocation or “calling down” of the Holy Spirit to consecrate. In the Eucharist, we call down the Spirit upon the bread and wine to transform them into the body and blood of Christ. As we begin lectio divina, we should remind ourselves that it is through the work of God in the Spirit that the written word is transformed in our lives into the living word. Having set aside the time, “selected” the text, and invoked the Spirit, we are ready to begin the first formal step of lectio divina, called the lectio. This is the moment in which we read and reread a passage from the Old or New Testament, alert to its most important elements. The operative question is, What does the text say? Patient attentiveness to what the text has to say characterizes our stance before it. We should read the text for itself, not to get something out of it, like a homily, a conference, or a catechism lesson. The word of God should be allowed to emerge from the written word. In lectio, each person’s experiences and talents before the text come into play. The more experience or education one has, the more one will potentially bring to the text. Knowledge of biblical languages or an understanding of theology can also enrich one’s reading. Consultation of available biblical commentaries or dictionaries can be especially helpful as we attempt to expand our understanding about what the text is saying. Paying attention to grammar, the usage of words, and the relationships of verbs to nouns or of subjects to objects can make the text begin to take on new and unexpected significance. The second step, called the meditatio, is equally important. We leave behind the specifics of the text and focus instead on what is behind it, on the “interior intelligence” of the text, as Guigo puts it. The meditatio is a reflection on the values which one finds behind the text. Here, one must consider the values behind the actions, the words, the things, and the feelings which one finds in a particular scriptural passage. Anyone who honestly seeks God and one’s authentic self in prayer will hear the echoes of joy, fear, hope, and desire coming from the sacred page. The operant question for this stage doesn’t stop at what the text says, but asks, What does the text say to me? We seek to make emerge from history and context the specific message of the text. The shift from external forms to internal content makes this stage an important one. When we progress from meditatio to oratio, an immediate experience of infused mysticism is hardly to be expected. Mystical union with God is not necessarily an ordinary part of Christian life. Nevertheless, the passage from meditatio to oratio is the vital and decisive moment of Christian experience. The more deeply we enter the oratio, the more we move beyond the text, beyond words and thoughts. The lectio is useful and the meditatio is important since they lead us to the oratio, which is life in its fullest sense, the life of Christ that he lives in the one who contemplates him. Oratio is the passage from the values behind the text to adoration of the person of Jesus Christ, the one who brings together and reveals every value. Unlike the lectio and meditatio, there is no operant question in the oratio. At its core, oratio is the silent adoration of the creature before the Creator, a rare and miraculous gift. When the person who practices lectio divina reaches the level of oratio, it would seem that that moment would be conclusive. 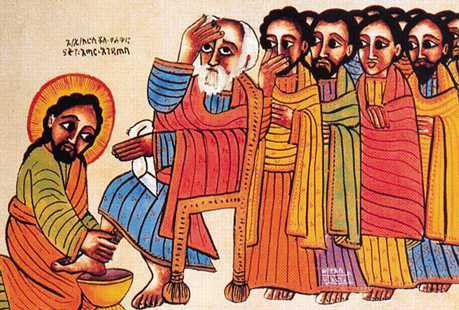 However, the dynamism of prayer that began during the epiclesis before the lectio is not interrupted here. To the contrary, it naturally continues and the oratio, as we are proposing it here following Cardinal Martini’s insight, possesses its own steps, called discretio, deliberatio, and actio. These three steps represent the way lectio divina is lived out in daily life. Given the growing dissociation of the faith from daily life, these three successive moments take on great significance. The second moment of the oratio is called the deliberatio. It is an interior act by which one decides in favor of the values of the gospel. One chooses to associate oneself with Christ and everything that association represents–in a word, discipleship. If the discretio is described as the capacity of a person to choose, then the deliberatio is the choice itself. The final moment is called actio. In this final step, the choice we make in the deliberatio is given form and substance. Prayer becomes something more than simply setting aside time for God or an attempt to better ourselves. Our lives begin to take shape from the choices we have made as a result of prayer. The actio is the integration of a kind of apostolic consciousness that informs our choices so that we have made and lived our choices from our encounter with the living God. Some critics would leave these last steps, particularly the actio, out of any proposed lectio divina. The addition of an extra step suggests perhaps overzealousness or even the influence of an “ideology of efficacy” regarding one’s prayer. Too often we feel we need to make prayer into something. However, in the face of a modern world in which the outward signs of the mystery of God are ever more difficult to recognize, where a daily experience of gospel or even transcendent values becomes harder to find, and where choices besiege one’s conscience and stifle rather than uplift the Spirit, this criticism is unconvincing. If anything, the connection between prayer and our life choices should become more explicit, not less. The faith, hope, and love made manifest in the choices our lives become must be nourished by contact with the word of God. Lectio divina is one graced instrument to bridge the gap that exists between our hearts and God’s. As the faith risks being further dissociated from daily life, the simplicity and potential of a method like lectio divina take on greater significance. Firmly rooted in the church’s tradition, it presumes careful attention to what biblical specialists are thinking and teaching. 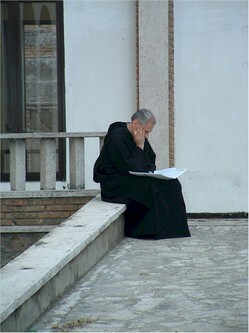 Rigorous study is complemented by disciplined meditation and prayerful contemplation of the word of God. Far from being an objective or rigid technique whereby one produces religious experience, lectio divina represents daily contact with God’s word that occurs within a lifetime’s engagement with the Living God. The principal aim of such engagement is to foster living prayer in faithful love. Lectio divina unfolds more than it proceeds; progresses and develops more than it advances. Dedicated practice engages the whole person–the intellect as well as the imagination, the will as well as the affect. It promises contact with God that is the normal fulfillment of prayer. Lectio divina is open to every person and not the exclusive property of a select few. Those who practice lectio divina reaffirm the belief that the proper place for the word of God is in the hands of the faithful. Wouldn’t Geppetto have been pleased if, instead of his firm response, “Pinocchio,” that young man had looked into Jay Leno’s TV camera and answered with conviction, “Jonah”? Reprinted from Chicago Studies 39 (2000): 211-19.